No credit card, no obligation 7-day free trial. Automated package tracking allows fewer people to get more done. Track packages as they come in all the way to their final destinations. Access records anywhere, anytime – so you look good in front of the boss every time. Can’t imagine working without EZTrackIt’s package tracking software ~ just love everything about it. It makes life so much easier! 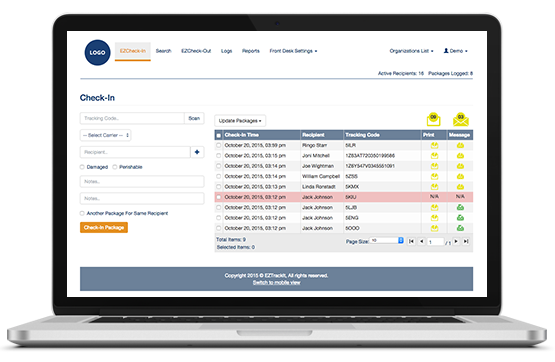 EZTrackIt’s package tracking system turned a nightmare into a workable situation. EZTrackIt’s package logging software is GREAT! It SOLVED our package tracking problems. I’d give it an A+. From perishable fruit baskets to marketing swag bags, an avalanche of incoming packages means long hours and lots of stress for mail center employees. 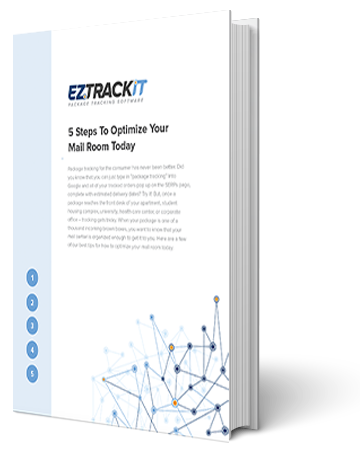 Let us help ease the pain with a few of our best tips on how to optimize your mailroom today. Ready to give EZTrackIt a spin? Request A Live Demo.